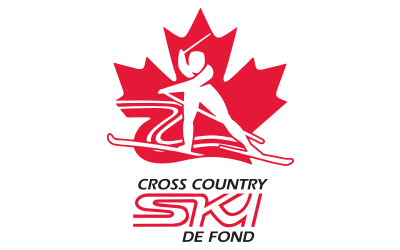 Wildwood Jackrabbits Family Skiing: Saturday November 18 and Notes for the year. Saturday November 18 and Notes for the year. 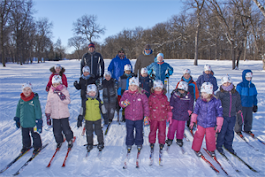 The 4 levels provide guidelines for developing the skiing basics. We have put the kids into 3 groups based on age and skill. This is an initially cut at this and we'll probably do a bit of moving once we have seen the kids in action. You can see an outline of the 4 levels here. We are going to do a couple timed skis this year This is between a 50m and 100m sprint that is purely the children racing against their own time. We'll do one in the next few weeks and then one towards the end of the season and see how they progress. For the really young ones we'll adapt to where they are at, and parents can always help. You can see some more background on the sprints here. Kids will earn different stickers based on their speed. (3) Snow Goals - getting out and skiing! Skiing on Saturday is great. Skiing other times is even better! 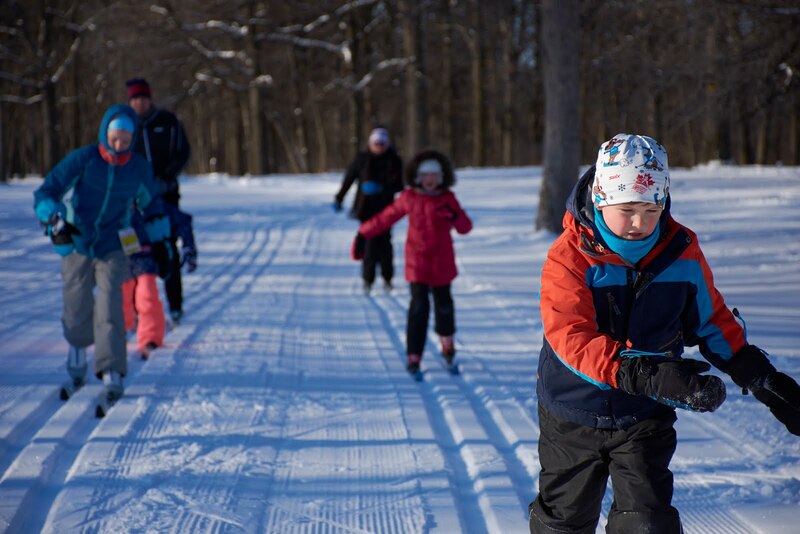 This little rewards program encourages families to get out and ski during the year. Every 5 non-Jackrabbit outings that you do earns a your jackrabbit a sticker. If you family gets to a 'snow goal', let us know at the next Jackrabbits and we'll give you a sticker. Here is more about that program. They way it is described is a bit stingy in terms of the stickers. We have adapted it a bit and will give out as many stickers as you can earn - the more you ski the better! Wax and prep - it is important to prep your skis before each session. If you don't have wax or need some hints and tips, please let us know. Here is a good video from Woodcock Cycle that talks about how to find your grip zone and how to wax. One trick is to bring your skis inside the night before and wax them in the morning inside. The skis are warmer, the wax is warmer, you are warmer, it is all much easier. Waxing outside at Jackrabbits isn't ideal both in terms of time and how the wax will go on. Swap Shop - is this Saturday. You'll want to go early if you are counting on getting gear there. It can be a bit crazy, but there is lots of good stuff to be had. Coaching - we would welcome anyone who would be interested in joining the coaching team. There is formal training available (the next one in a few weeks) if you want to really get into it, and we also welcome 'assistant coaches' and casual help as well. There are a number of weeks where one or another of us are away, so more help is welcome. If you are interested or would like to know more, let one of us know. Registration - you all have all either registered or told us that you are in the process - Thanks! We are going to be closing registration this weekend so for those who are almost done, the time is now. This Saturday - we'll be splitting into 2 groups as James is away (did we mention coaching opportunities are available?). We'll be doing some hill and movement work. There still isn't enough snow to track... yet, so a snow dance will be in order! As always, if you have any questions please let us know. We are pretty excited about the season and are looking forward to some great skiing.